Leofwin Clark is a planner and senior sales director with 30 years of experience in the water, transportation, and environmental sectors. For the past 20 years, he has been focused on the evolution of collaborative delivery to solve infrastructure challenges. He is based in Denver, Colorado. 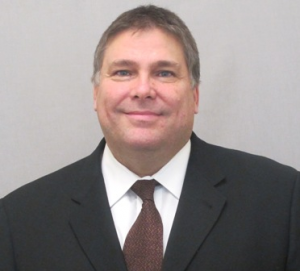 Mr. Clark’s recent efforts include the development of decision criteria and analysis tools for the full spectrum of project delivery methodologies; workshops for procurement, project management, and engineering staffs; procurement document development and proposer evaluation support; evaluation criteria development; and selection methodology strategies. As a vice president at Brown and Caldwell, Mr. Clark develops market strategy and leads at-risk (construction management at-risk, design-build, design-build-operate, P3, and program management at-risk) pursuits from identification and positioning through the proposal and negotiations processes. Recently, Mr. Clark led interdisciplinary proponent teams on several of the water and wastewater sector’s most significant P3 procurements in Canada. Mr. Clark holds an urban studies undergraduate degree from Columbia College in the City of New York and a master’s degree in urban planning from the Columbia University Graduate School of Architecture, Planning, and Preservation. In addition to many years of membership on the DBIA Water/Wastewater Committee and as a DBIA Conference Co-Chair, Mr. Clark has served in several officer and board roles for the Water Design-Build Council, most recently as the Education Committee Chair.